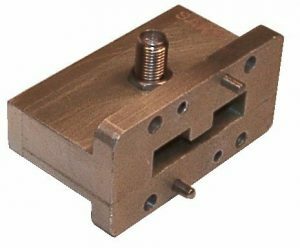 M.E.C.’s R40 Series double-ridge waveguide to coaxial adapters provide broadband capability in a very compact form and allow transmission of power in either direction with very low reflection. VSWR over a full octave band is often less than 1.10:1. 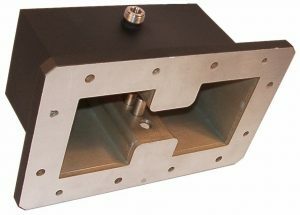 Assemblies are furnished with an aluminum housing. Connectors are built in accordance with MIL-C-39012. Parts are chromate conversion finished per MIL-C-5541, Class 3, and painted with gray epoxy enamel. 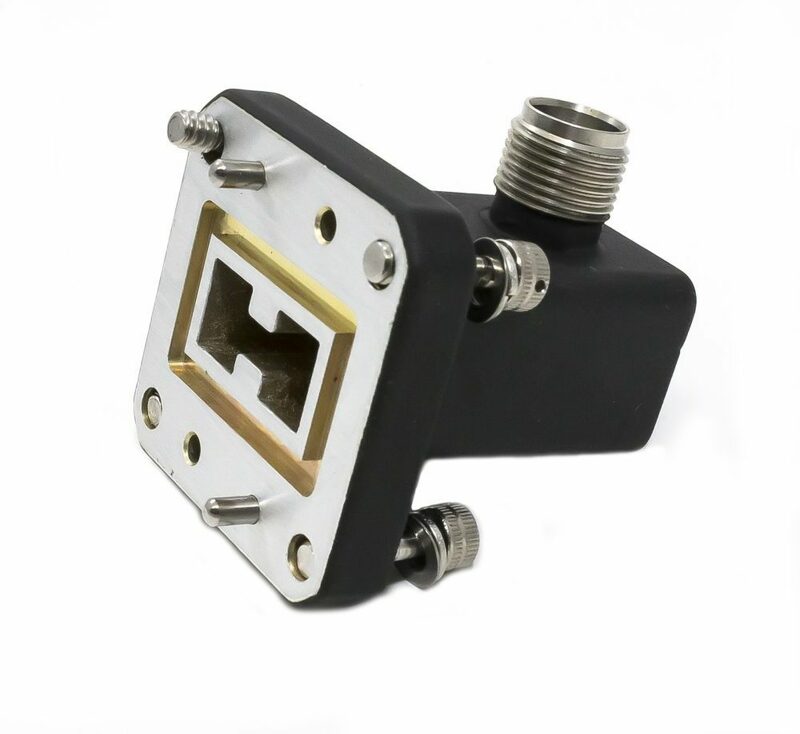 (1) Select connector by referring to Coaxial Connector Data Sheet for a full listing of available connectors and specs. (2) Specify frequency band, power peak, and average. 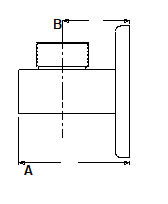 (3) Custom flanges, integral pressure windows, bends and other options are available upon request. 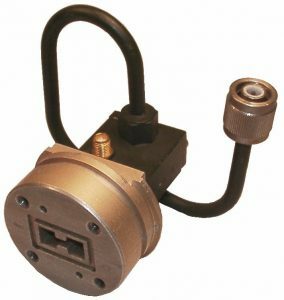 (4) Swept frequency test data can also be supplied upon request.